Concerned about what’s going on at the office? Here at Southern Security & Fire We have Security Camera systems for you at affordable prices. 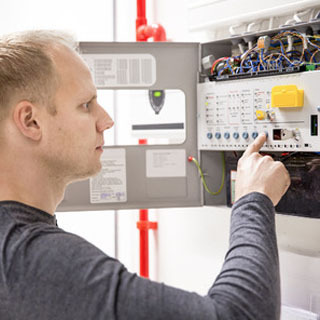 Our engineers, designers, project managers and certified installation technicians have a wealth of experience in delivering fire detection and alarm systems for all types of buildings, businesses and needs. This experience can improve the overall effectiveness of your fire protection program, reduce maintenance, reduce running costs and extend your current capital investment well into the future. For more information contact us. Southern Security & Fire has professionals that specialize in the maintenance and service side of the fire alarm industry. They will walk you through the code requirements for inspections and can provide a custom service plan for your facility that can range from hourly service rates to full maintenance and inspection agreements. For more information contact us. The key success factor for any fire protection system is its design. Fire protection depends on the early identification of a developing fire, and on alerting the occupants and emergency services. Southern Security & Fire installs systems that can also initiate automatic suppression systems and interface with elevators, air handling, electrical and other special process operations. 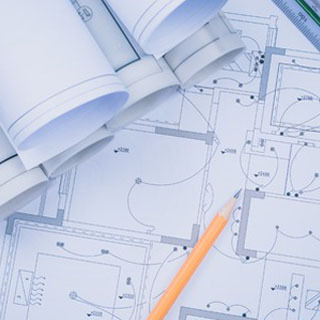 Our system designs are tailored to the type of business, building size, occupant level, the types of fires that could develop, and the protection needs of our clients. Southern Security & Fire specialists are fully certified and knowledgeable in national, state and local fire safety codes, AHJ (authority having jurisdiction) rules, manufacturers’ specifications and installation requirements. For more information contact us. Southern Security & Fire is proud to offer the latest technology in monitoring of your fire protection systems. This can be accomplished in several ways. Southern Security & Fire’s wireless offerings provide seamless, reliable coverage by automatically choosing the best signal in the area (whether 3G, 4g, LTE, or CMA) and self-adjusting as necessary. Internet dialers are Commercial Fire Alarm Communicator that offers Contact-Id reporting for any Fire Alarm Control Panel (FACP) that has a built-in dialer. This single or dual path communicator connects directly to the primary and secondary communication ports of a Fire Panel’s Digital Alarm Communicator Transmitter (DACT). It offers three selectable reporting paths which include; Cellular only, IP only, or IP primary/cellular backup. All signals route highly encrypted Ethernet data packets via a customer provided internet connection or cellular network to the appropriate central station. Its multi-platform technology locates and chooses the best available signal in the area (3G, 4g, LTE, or CMA)) and seamlessly self-adjusts to maintain critical life safety communication. For more information contact us. 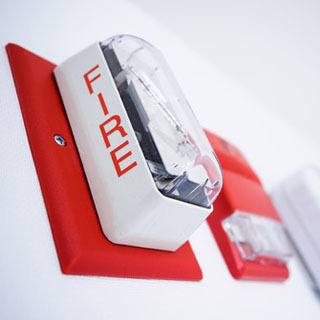 Early fire detection is vital to the safety of the people in your establishment. 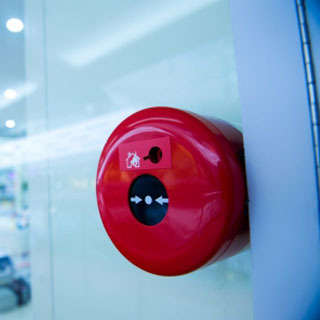 Proper fire alarm testing, inspection and maintenance can help save lives and property. Southern Security & Fire technicians will inspect all panels and devices to ensure your building is protected and occupants will be notified promptly in an emergency.